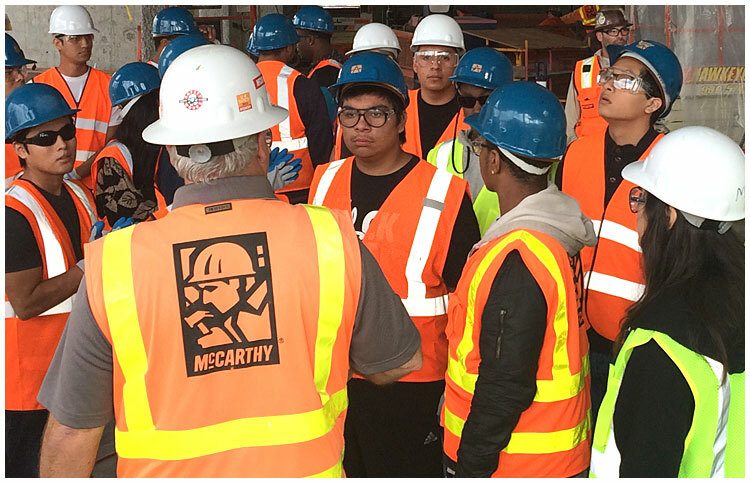 Jordan High School students recently visited a McCarthy Construction site at Chapman College as part of a fieldtrip sponsored by McCarthy and the Laborers' Union. A new class will open in the spring semester at Jordan, creating a pipeline from high school to an apprenticeships with the union. FIRSTHAND EXPERIENCE – Students from Jordan High School visit a construction site at Chapman College.